Tagged bi, book, Business Intelligence, design, Metadata, parallel data warehouse, PASS, pdw, presentation, publication, SSIS, SSIS Design Patterns, Summit. Bookmark the permalink. Sold… Just placed my order. And congratulations. 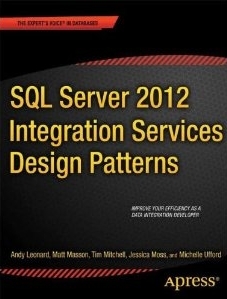 It looks to be really useful… I’ve personally felt the pain of looking for model SSIS packages on the internet to use as a model, template or best practice. Congratulations! I’m looking forward for the time when I need this book. I think, NASA should consider assigning you for the outer space mission on ISS as PDW expert 🙂 But before SQL Server should extend its spatial data types a bit to make navigating in space as easy as navigating on a map. Hi im going to read this book now, maybe im too late but it will help me a lot! !